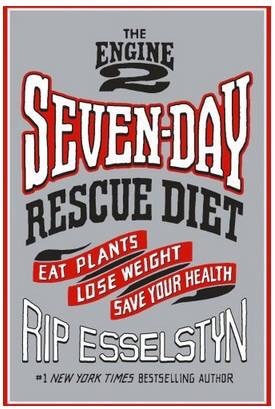 They asked if 7 days could rescue your health, I know it can. Why don’t you take control of your health now? This free 7 day challenge starts tomorrow, Jan 4th. To learn more about it and to sign up go to their site Engine 2 Diet. They have a Facebook group as well. So join me and take control of your health, your future. 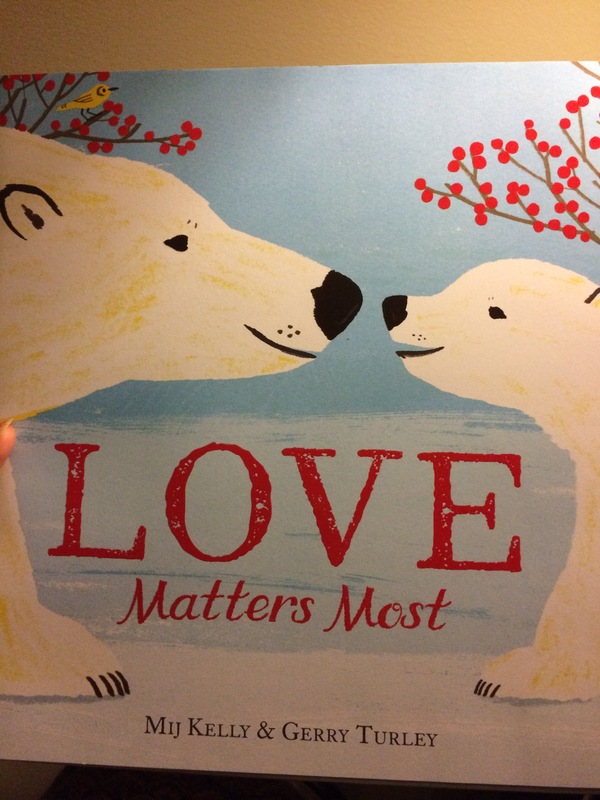 Love Matters Most, a book review. The story by Mij Kelly is fun, entertaining and heat warming. Why does the polar bear go out on such a cold stormy night? She passes by lush berries and plenty of fish swimming in the clear stream. It wasn’t food she was in search for, when she found what made her leave her warm cave on a blustery night, is she able to cuddle up and have a good night’s sleep. I give this 9/10 snowy tears. Em gives this 10/10 snowy tears. She liked the story, but was more drawn in, by the gorgeous illustrations by Gerry Turley. The book kept me guessing. At first I thought the bear was searching for something and the seasons would change. My favourite part is when she found what she was searching for. Good story. The pictures are beautiful. Love Matters Most is available to pre-order, place your order as it’s being released on Dec 6. Hachette Book Group sent us a book for an honest review. Bottom line: every child will feel snug as a bug in a rug. A must have book for bedtime reading!! Vegan recipes from the one you left behind. By Automne Zingg, recipes by Joshua Ploeg. Even though they love him, this is a work of parody. The recipes in this book will not break the bank or leave you feeling like you’re eating cardboard. 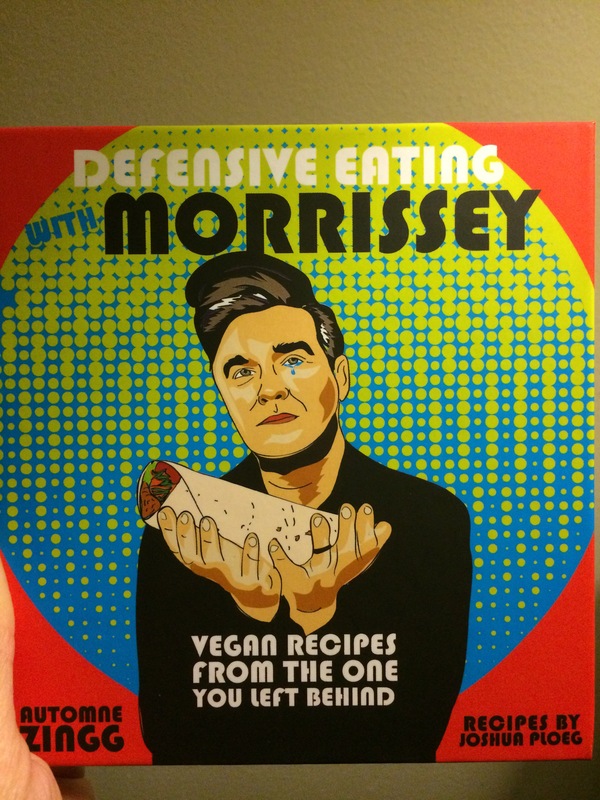 Inexpensive recipes like Boy with the corn on his side, shoplifted veggies, Morrissey ate all your dream(icles), Pacman cake. Disco fries and more; will fill you up so you can pick up some vodka, you’ll need some for the next recipe. 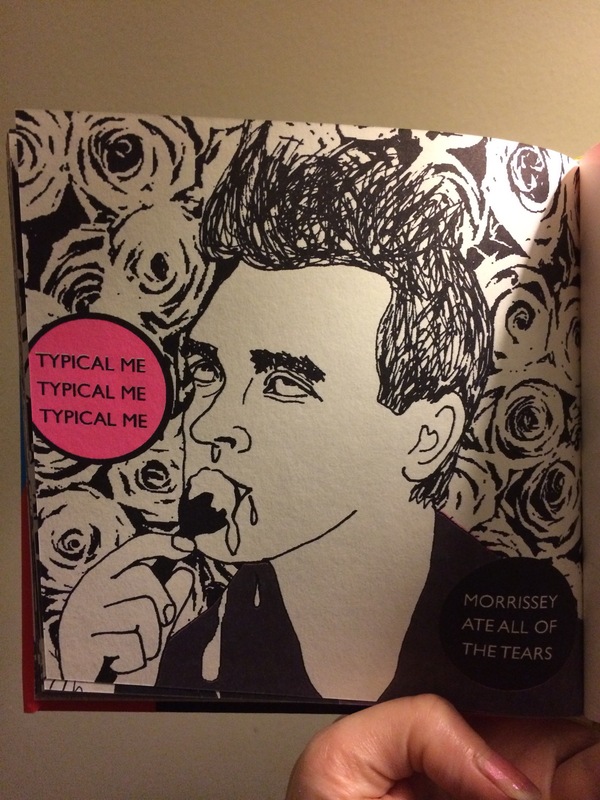 (Again, like Nick Cave every recipe comes with a comic of Morrissey). With permission from Microcosm I’m able to share a recipe with you. In a shaker, mix two parts vodka, one part grapefruit juice, and ginger syrup to taste. Shake with ice. Pour into salt-rimmed martini glass. Finish with a splash of soda and float a lemon slice in there. Have a drink and join me, join me, join me. I’m certain I heard you cry. This is how my tears taste like at least. Microcosm sent me out a copy of this book and is going to send one lucky person not only a copy of this book but as well as Comfort Eating With Nick Cave. Good luck! To enter the giveaway Click here. What’s your fav meal on the cheap? Congratulations Michelle M!!!! 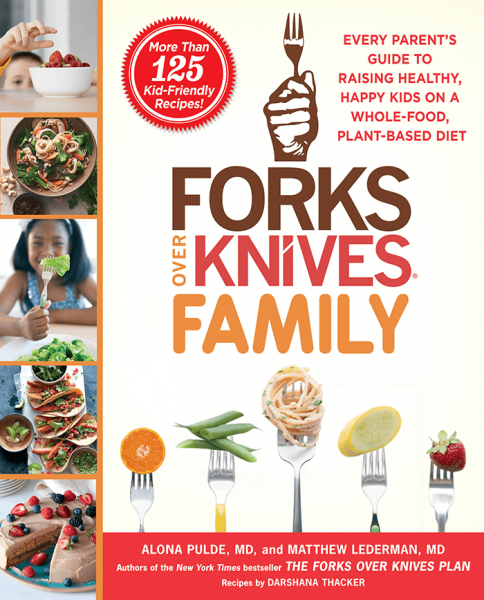 You won a copy of Forks Over Knives Family!